Ben is one of Australia’s leading industry experts on health and fitness. As an ESSA qualified Exercise Physiologist he is well equipped to worked with clients from general population to elite level athletes. I saw Ben during my recovery from hip surgery at the end of 2015. The work I did inside the altitude chamber helped to get my fitness up quickly so I could rejoin with the main group and push for selection earlier than anticipated in our premiership year. Ben has introduced some sports science into my training. Through the use of the BodPod and metabolic testing and in conjunction with altitude training it has helped educate my team of coaches and I to know what works best for me to ensure I get maximum return on all the hard work I put in. 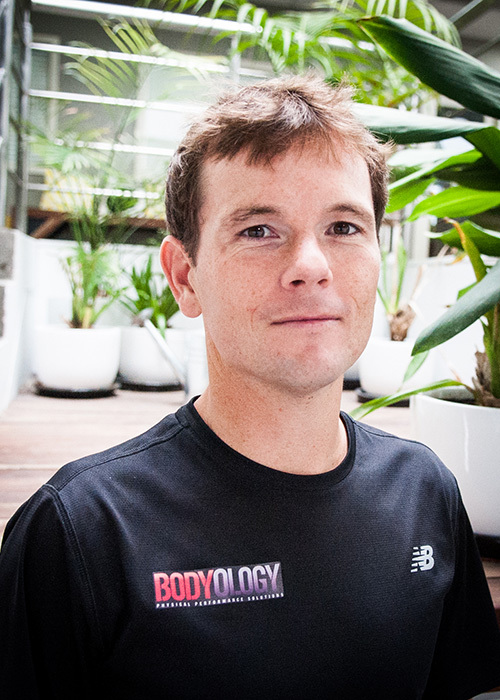 I enlisted in Ben from Bodyology's help as I was an athlete who had glaring muscle imbalances that not only limited my overall improvement in running but also was detrimental to my body. Realising that my injury I had suffered was from a lack of strength issue, Ben helped me to recover through frequent rehab (working closely with my Physio) and creating a strength program that was catered to my personal needs as an athlete. Ben constantly goes above and beyond his role as a strength coach and genuinely wants to see his athletes do well. He ensures we are making advancements together, which is telling through the considerable improvements I have achieved in a small period of time in the weight room, on the running track and remaining injury free. I would 100% recommend anyone who runs or plays sports to go see Ben and the team at Bodyology to become a better, stronger athlete. Bodyology Physical Performance Solutions is a unique operation designed to support, educate and physically develop both athletes and members of the general public to achieve optimal health and performance.